LMS Class 5MT 4-6-0 45212 is at Haworth receiving attention from Haworth works staff so linesiders will have to wait a little longer before the locomotive is out on the branch. BR Class 4MT 4-6-0 75078 will be at the head of the steam service for a 7 day turn of duty from Saturday right through the week to Friday. 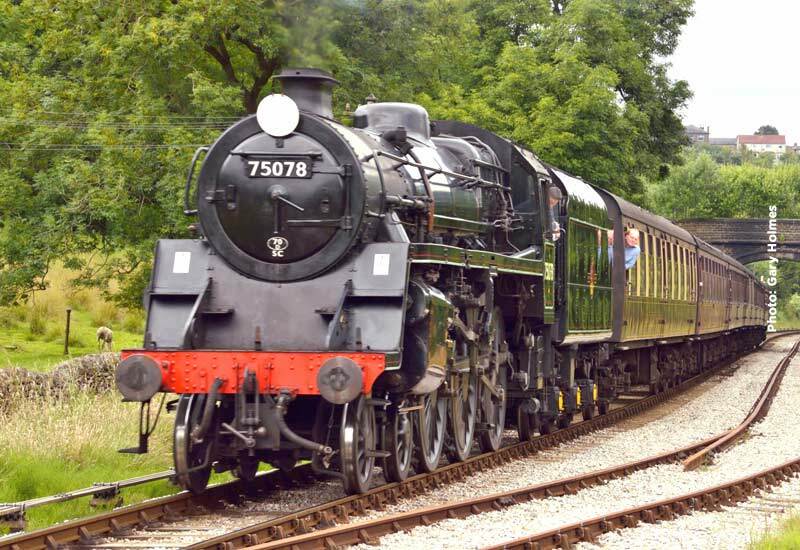 75078 will be joined on Sunday by WD 2-8-0 90733. The normal early morning diesel railbus on Saturday will once again feature English Electric Class 20 no. 20 031 at the head of locomotive hauled stock. The Class 101 DMU will operate the Sunday morning diesel service.